Strong female protagonists are great. Sometimes. There is a glut of female protagonists who are skilled in the fighting arts. On one hand, great; you go, girls, proving those fools who think women are weak wrong. On the other hand, this characterization limits “strength” to physical strength. The “strong” in “strong female character” doesn’t have to be literal, and having strong=powerful can result in a weak character if that’s all that makes your character interesting. In Eyes of War, this fight scene comes out of nowhere. In terms of story, it serves little purpose and feels more like wish-fulfillment. I tried to do it justice with my sporadic Southern accent. There are some memories attached to today’s post. While not the biggest fan, for a while I was pretty into “Buffy the Vampire Slayer.” My friend Erica and I would buy Haagen-Dazs, huddle in her dorm, and blitz through entire seasons of “Buffy” on days when we were tired of school. 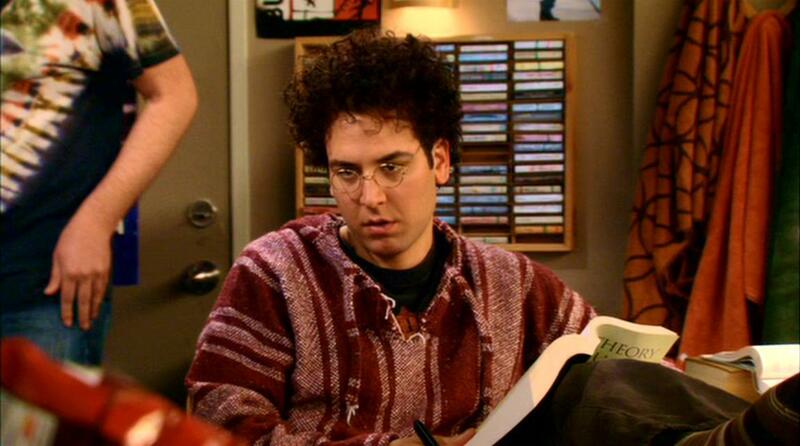 I tend to like side characters more than the protagonist, which is especially true of “Buffy” and “How I Met Your Mother.” Seriously, Ted. No one cares about your problems. Even though Buffy got on my nerves, I enjoyed watching Xander, Willow, and Giles and tried to imagine a show where they had wacky adventures while Buffy sat at home being terrible and making bad choices. I had reservations when Seth Green joined the “Buffy” cast. I hadn’t seen him pull off “monosyllabic musician.” I was 19! I didn’t know better! Oz quickly became my favorite part of the show. When Oz and Willow fell in love, I couldn’t handle it. When people talk relationship goals, they always mention Chandler and Monica or Lilly and Marshall. For me, it was Oz and Willow. That is, until they broke up. “Broke up” doesn’t quite cover it. Oz cheated on Willow with a rogue werewolf, got caught by Willow, murdered said werewolf when she tried to kill Willow, then decided to skip town. I tried–and failed–to explain the above to my then-boyfriend without crying. Three years later, I’m still having a hard time. Oz was such a great boyfriend. He and Willow were great together. It hurt to watch him screw up his relationship and know it couldn’t be fixed. Yikes. How to follow that up? Quick, internet, find me something funny! This week’s been a bit rough – I’m finishing up a senior thesis, recently presented at an undergraduate symposium, and have emigrated for the weekend for my brother’s wedding. The rehearsal dinner just wrapped up and I have about 17 hours of free time until the big day, so I thought I’d take a break from terrible prose, heartbreaking videos, and addicting TV shows to catch up on my favorite dating sim. All the stuff I mentioned earlier? While true, the real reason I haven’t posted is because of Benny. I’m not sure what to say about him. It’s been a couple weeks since his playthrough and I still don’t know what to say. All of the confusing things about Benny can be summed up in his looks. At certain angles, he is legitimately terrifying. At others, he’s not bad-looking, but I’m still confused. Where did they find such a swarthy redhead? Is he a pirate? WHAT IS HAPPENING? Benny’s personality is similar to that of Fred and George Weasley. Excuse me, just George Weasley. Fred is dead. I can dig the slacker/class clown vibe to an extent. If a character falls on the class clown side of that equation, I find him enjoyable. Benny straddles the line between the two; a wise move on the game developers’ parts, as so often I find “laid-back” types unpleasant, if not repulsive. What’s weird, though, is how the other characters react to Benny. 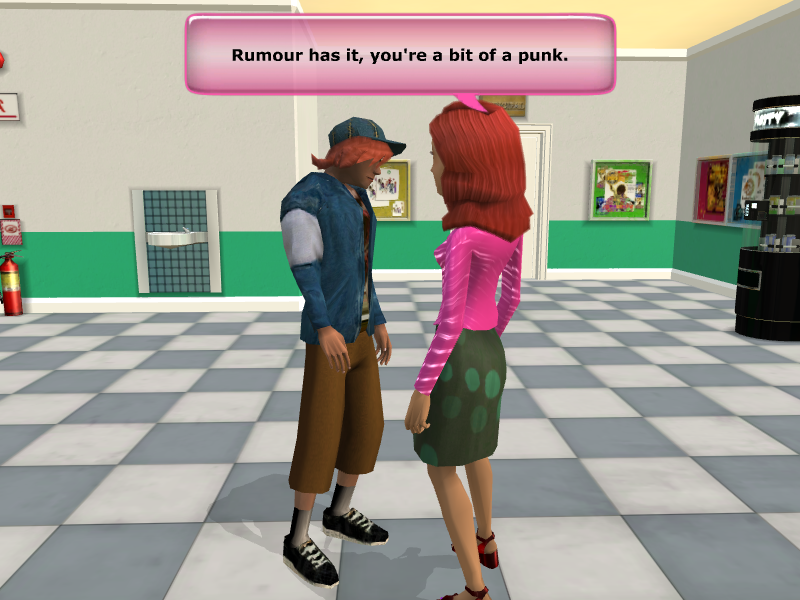 I can understand why some people might have reservations about the player character dating a known “troublemaker.” What I don’t get are the implications that Benny is dangerous. Benny is harmless. His worst pranks involve wearing bibs, stealing pants, and…okay, he does blow up all the school’s water fountains. And the player character helps him do it. That didn’t hit me until now. One thing I can appreciate about Benny is that he is open about his regard for the player character. Really open. As in bordering on sexual harassment. He’s open to the point of spreading G-rated lies about his dalliances with the player character. At prom. In front of Ryan Seacrest. That’s not even a little bit true! Can I go to prom with him!? Benny’s storyline is quick. I scored a prom invitation in nine days–that’s almost unheard of. I’m disappointed there wasn’t more, but I enjoyed the gameplay. There’s not much else I can say. My prom dress this time around was adorable. I got up to three flower petals of friendship with Emily–again, unheard of. 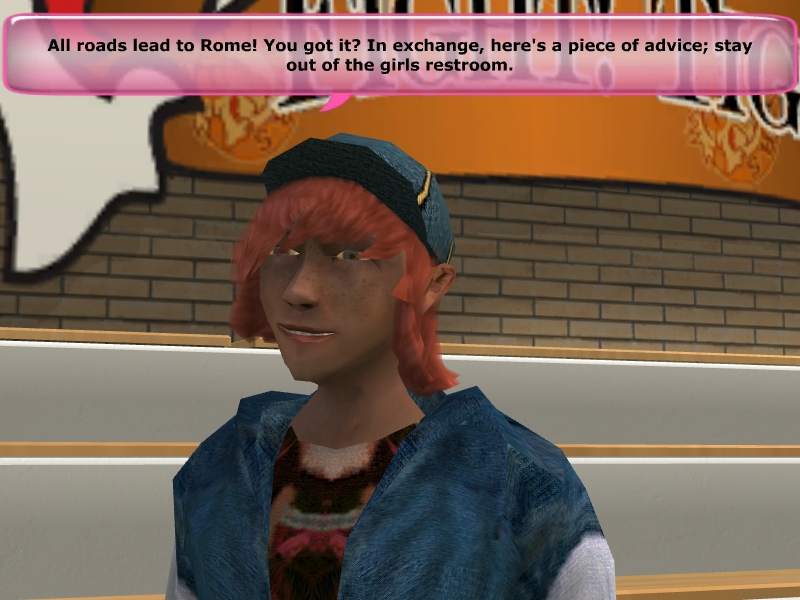 The game shoehorned a lesson about stranger danger into the story. For all his “bad boy” ways, Benny isn’t the most thrilling guy in the game. That being said, he’s not the worst. To justify my rating him higher than Eugene, all I have to say is: at least Benny doesn’t have low self-esteem. There’s a website where you can make top 10 lists about anything. This will come in so handy later. There’s nothing I love more than a good romance. If done right, I even like belligerent sexual tension. I repeat: if done right. Having two characters fight all the time isn’t cute or romantic by itself. If two people are awful to each other, that doesn’t make me root for their happiness. To all my fellow writers: if you want to include jealousy and bickering in your romance, that’s fine; just make sure you include that stuff after the characters have known each other for more than a day. New series! Welcome to Make-You-Cry Monday, where I explore how different entertainment can turn me into an emotional wreck! Half the reason I love stories is finding ones that wreck me emotionally. People can tell which stories are my favorites when I have trouble talking about them without yelling or crying. My goal every Monday is to ruin your life with a clip, passage, meme, or piece of artwork, then follow it up with something happy to make up for any emotional turmoil I may have caused. I don’t watch the show today’s clip is from. I stumbled across it while I was taking a Zimbio quiz that necessitated some research. Even without context, I was hit by the emotion of the scene. It helps that I’m a musician and Jussie Smollett has a beautiful voice. Part of the reason the scene hits so hard is because the flashback was based off an incident from series creator Lee Daniels’ real life. It kills me to know that this is something that happens to actual people, not just fictional characters. I’ve never been a huge Terrence Howard fan, but his subtle reaction coupled with the other family members’ more positive reactions works so well in this scene. With that, have fun crying. I do every time. Look! A gif of Dean and Seamus from “Harry Potter” dancing at the Yule Ball! I don’t go as crazy as Tumblr does in shipping characters. I read this is as just friends, because if women can dance together and still be considered straight, men can, too. However you interpret it, I’m encouraged by it. Huzzah for male affection!